“Motherhood is about progress, not perfection”. And so began the official first day of the WOW Summit 2014. The above statement by analyst Robyn O’Brien and her keynote address from which it came, sums up exactly why I was drawn to this conference in the first place. She spoke with us at length about how she became passionate about bringing to light all of the chemicals and toxins that have been put into the food that we eat and how she is at the forefront of the cause to help companies turn this around. She gave me a lot of food for thought (pun intended) which I plan to write more on later. Next we heard from Traci Paige Johnson, the voice of Blue from Blue’s Clues! She’s also behind some of my children’s other favorites such as Super WHY and Daniel Tiger (I credit Daniel Tiger’s “If You Have to Go Potty, Stop and Go Right Away” song as helping our 3 year old son successfully complete toilet training!) Traci shared with us age-appropriate and educational TV programming and mobile apps for children. And Dr. Susan Bartell spoke with us about keeping our kids safe online and suggested ways we can increase the time and quality spent together as a family. During the break, I lunched on some more sponsor treats from the Exhibitor Hall: Kidfresh macaroni and cheese, Smart Flour pepperoni pizza, an Applegate Halftime turkey snack, and of course, a Zevia (ginger root beer this time). I’ll quickly say here that it was all delicious, so much so that I am 100% interested in purchasing and serving to my family for a more in-depth review that I will later share, along with reviews from many of the other (nonfood) items that were shared. After lunch we heard from Heather White from the Environmental Working Group who spoke with us about the unsafe toxins in our everyday household products. The US trails the entire globe in banning only 11 toxins versus the EU’s ban on 100 toxins. This is just mindboggling to me. I’ve already done a great deal on trying to ‘green’ my house, but this talk just reinforced that I need to do even more. I’ll be using ewg.org for assistance on removing these troublesome products from my home. Next we heard from Suzy Stauffer who spoke to us about remembering that we are “Women First, Mothers Second.” When we later broke into smaller, more interactive seminars, Suzy’s was the first that I went to. She further touched on not losing sight of our own visions and dreams and that we don’t have to let go of it just because we are mothers. Further affirmation that I’m doing a good thing by being here sans kids to devote attention to my blog. I also attended workshops from Zevia on how to host smarter celebrations with DIY party ideas, budget-friendly tips, and healthier food options. And another amazing, eye-opening workshop that I sat in on was entitled GMO, OMG! and further delved into the whole story behind GMOs. Once again, blows my mind. I have some additional things to share about what I’ve learned here that will also be in a later post. Armed with all of this great and empowering information, the session ended, but not before my name was called for one of the many prizes given away throughout the entire conference. That was exciting for me because I never win anything! And now I have a gift card to kiwishop, where I’ll most likely be purchasing some of the items I sampled while here! After some rest time spent back in the room which I spent chatting with my sweet babies (Mommy misses you! ), attendees met up again for an evening of cocktails and and comedy with Karen Bergreen. (She’s funny!) The only thing for me that didn’t go as planned was all of the writing that I wanted to accomplish while I was away. But after such a jampacked and engaging day, I passed out and slept like a baby. I may feel like I don’t get enough time to write at home, but I also know that I don’t get enough sleep. So even though my “plans” changed, my night was still a win! 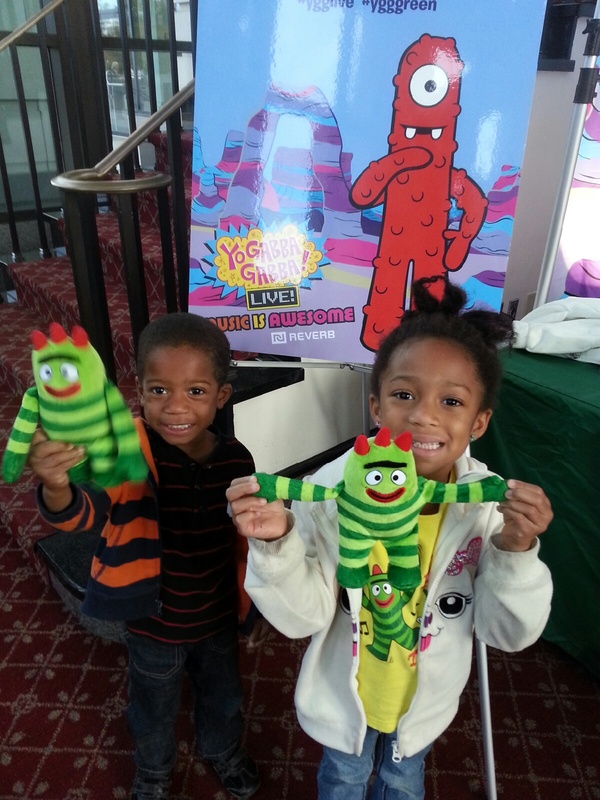 While Mommy was away, the Babies got to enjoy a day with Daddy and Yo Gabba Gabba Live on stage! 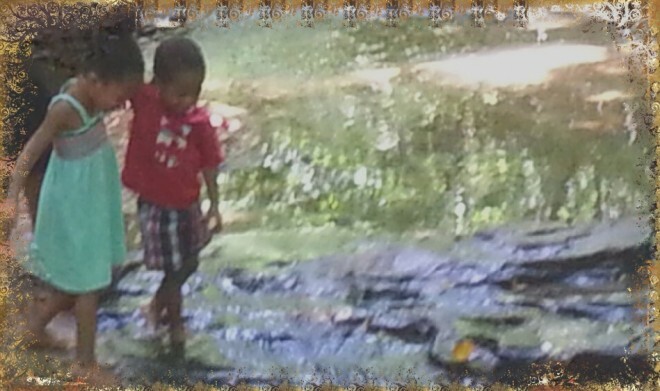 This entry was posted in Children, Food, Health, Parenting, Reviews, The Preschool Years and tagged children, conference, Diabetes, empowerment, Food, GMOs, Going Green, green, Health, kids, knowledge, moms, motherhood, natural, organic, Parenting. Bookmark the permalink.